In this heartwarming podcast, Finn Mander introduces Liam, Eamon, Eli, and Zachari. They are all active participants in the programs offered by the Bainbridge Island Boys and Girls Club. In this eclectic podcast, they share their stories, favorite moments, and advice for other kids interested in joining the club. The underlying theme of the discussion is how important community really is. 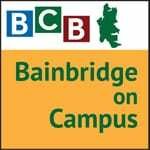 BCB was introduced to the Boys and Girls Club in the spring of this past year when they hosted the club for a four week audio engineering course. 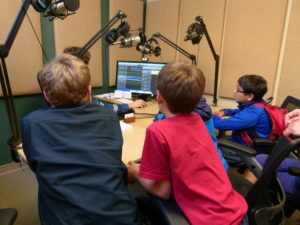 Within those four weeks, the kids learned about podcast making, live sound recording, sound editing and mixing, working in a professional environment, and how to conduct interviews. At the end of the course, they tested their knowledge by taking part in the creation of this podcast with the help of their teacher, Finn Mander. The Boys and Girls Club is currently working on a project called the “BGC Radio.” It is an online community radio station run by the kids of the Boys and Girls Club. The radio is an amazing opportunity for the kids to learn about how streaming works, as well as about how sound is edited and recorded, about music as a whole, and about being a part of a community project. One of the lessons at BCB. The Boys and Girls Club offers many different activities for the kids of Bainbridge Island to learn about different aspects of their community and society as a whole. Their ultimate goal is helping prepare students for high school graduation and college by exploring career paths, developing leadership skills, caring for their community, engaging in positive behaviors, expanding their creativity, and learning how to live a healthy lifestyle and make the right choices. Through taking part in these activities, the kids learn a large amount, have fun, and make friends. Outside of these activities, the kids also have time to work on homework, play with friends, and learn from staff at the facility in the Coppertop area of Bainbridge Island. Credits: BCB host, audio editor and publisher: Finn Mander.